Harumi Kurihara is more than a mere TV show host. She is "a brand that encompasses restaurants, housewares stores, a magazine and more than 20 cookbooks that have sold more than 7 million copies. (Not bad for someone who began working at age 36.)" Harumi Kurihara at work in her home in Tokyo. 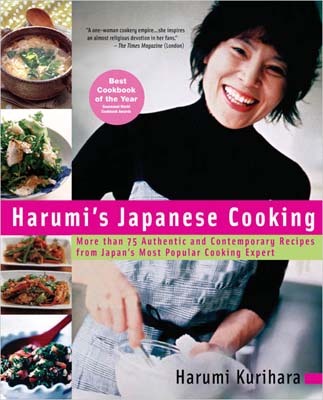 Harumi's 2nd cookbook published in America.